A certified Ayurvedic Lifestyle Counselor, Melanie Sachs' skills as a teacher and therapist have made her sought after by some of the world's leading spas and beauty schools. Her book, Ayurvedic Beauty Care (Lotus Light Publications), is considered a must for those interested in the expanding field of natural and conscious body care. Melanie's work as a healing professional spans more than twenty years. Trained initially as an occupational therapist in Great Britain, she came to the U.S. to study alternative healing approaches and worked as a macrobiotic counselor. 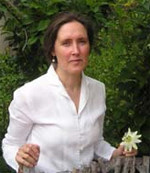 In 1986, Melanie met Ayurvedic physician, Dr. Vasant Lad, and began her studies in Ayurveda. Melanie has developed many unique Ayurvedic techniques into sucessful spa services that her students often say are just as soothing and healing to give as to receive. She is committed to promoting these treatments in a manner that is in keeping with tradition, yet at the same time, being well-matched to modern needs and spa treatment settings. Since 1995, Melanie has focused on teaching these techniques to skin care professionals and massage therapists who work in today's growing spa industry. Together with her husband, Robert, Melanie owns and operates Diamond Way Ayurveda, providing education services, equipment, and products worldwide. Melanie is recognized internationally as the authority for the application of Ayurveda to the beauty world. Her articles have been featured in a number of nationally syndicated magazines, including Skin, Inc., Les Nouvelles Esthetiques, and Natural Health. In the past five years, she has been a featured presenter at the International Esthetics and Cosmetics Conference in Las Vegas, The International Congress of Esthetics in Miami and Long Beach, the Face and Body Show in the California Bay Area. She is also a consultant for The Chopra Center for Wellbeing in La Jolla, California, the Greenhouse Group in Dallas, Texas, and is the chief instructor in Ayurveda for the International Dermal Institute worldwide. Both she and Robert are also featured instructors at the Mahindra Institute and Primavera Life in Germany. Recent projects include her development of Primavera Life's Ayurvedic Spa line under the trade names of Unlimited Mind (for Vata), Spontaneous Joy (for Pitta) and Rainbow Body (for Kapha). In his dedication to seeing people receive information that is both relevant and useful to their daily living, the work of Robert Sachs covers every facet of the human experience. 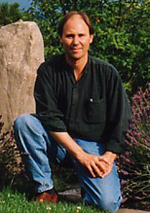 Born in Cleveland, Ohio, Robert's most formative education in oriental philosophies and healing arts began when he moved to England during his late teenage years. It was there that he received his B.A. in comparative religion and sociology at the University of Lancaster, began his studies with Tibetan Buddhist masters, and was introduced to the Asian healing arts with such reknown teachers as Macrobiotics master Michio Kushi and shiatsu master Rex Lassalle and began training in hatha yoga. Before returning to America in 1976, Robert was certified as a hatha yoga instructor with the All India Board and Inner London education Authority. He also completed a conventional training as a mental health counselor with the Richmond Fellowship College. A later stint in London saw Robert completing his shiatsu training with Rex Lassalle and being instrumental with his wife, Melanie, in starting the Community Health Foundation's "Growing Family Center." With a desire to enrich and further his studies both in bodywork and mental health, Robert went on to receive a massage license from Central Ohio School of Massage and a Masters in Social Work at the University of Kentucky. Affected deeply by the death of one of his daughters during this time, Robert's social work and spiritual practice lead him into the study the conscious dying practices as found in the Tibetan Buddhist tradition and has been a member of Sogyal Rinpoche's Spiritual Dying Network and the National Hospice Organization. Along with his wife, Melanie, Robert has pursued studies in Indian and Tibetan Ayurveda for over a decade. Recognized by such teachers as Dr. Deepak Chopra and other physicians of both eastern and western traditions, their published works in this field are considered to be the clearest and most usable texts available. 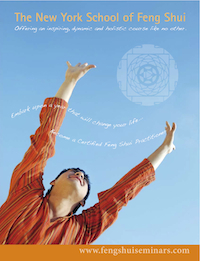 With a educational background and training that is as conventional as it is 'alternative,' Robert works with physicians, clinics, hospitals, and private individuals and organizations, teaching them how to integrate contemporary scientific approaches with the ancient wisdom traditions in the areas of stress management, preventive health care, and relationship and group dynamics. He is a guest instructor for the Chopra Center for Well Being in San Diego and lecturer in Tibetan Medicine for the Sino-American Rehabilitation Association College in Los Angeles. He is sought after as a lecturer at holistic health care conferences nationally, has been featured in a number of holistic, wellness, and spa magazines, T.V. and radio programs nationally and internationally, and has hosted his own talk radio shows in New Mexico and California focusing on a unique system of astrology called 9-Star Ki and alternative health care. He is the author of Nine-Star Ki: Your Astrological Companion to Feng Shui (Vega Press 2001), Tibetan Ayurveda: Health secrets from The Roof of The World (Inner Traditions, 2001), Rebirth Into Pure Land (originally with Zivah Publishers, 1994),Perfect Endings: A Conscious Approach to Dying and Death (Inner Traditions International, 1998), and The Passionate Buddha: Wisdom on Intimacy and Enduring Love (Inner Traditions, 2002). Most of these titles are available in several European languages. Melanie and Robert live in San Luis Obispo, California where they co-own and direct Diamond Way Ayurveda. They have three children, Kai Ling, Harriet Christina, and Jabeth David-Francis.